McCarroll, John, age 46, born in Arkansas; father born in Kentucky; mother born in Missouri; farmer. McCarroll, Elizabeth, wife, age 48, born in Tennessee; parents born in Tennessee. McCarroll, Luan, daughter, age 21, born in Arkansas; father born in Arkansas; mother born in Tennessee; attended school. McCarroll, William T., son, age 14, born in Arkansas; father born in Arkansas; mother born in Tennessee; attended school. McCarroll, Martha, daughter, age 12, born in Arkansas; father born in Arkansas; mother born in Tennessee; attended school. McCarroll, Fannie, daughter, age 10, born in Arkansas; father born in Arkansas; mother born in Tennessee; attended school. McCarroll, Fillmore, son, age 8, born in Arkansas; father born in Arkansas; mother born in Tennessee; attended school. McCarroll, Cora Rill, [relationship unclear], female age 6, born in Arkansas; father born in Arkansas; mother born in Tennessee. Henshaw, Allice, grandchild, age 3, born in Arkansas; father born in Alabama; mother born in Arkansas. 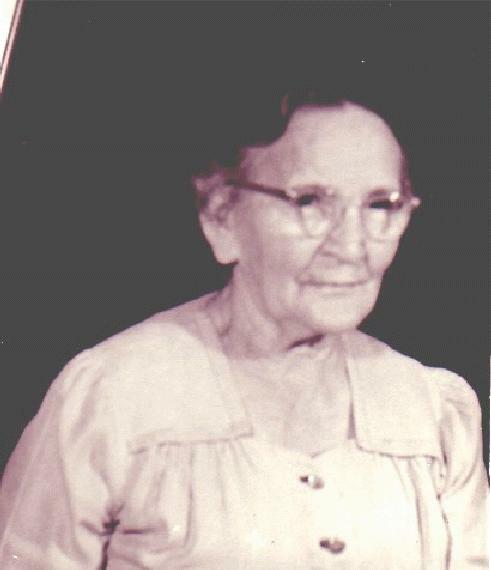 Nina Reckerd, born c1900, Arkansas. Raymond Reckerd, born c1911, Arkansas. Record, William, head-of-household, age 39, born in Illinois; father born in Ohio; mother born in Illinois; first marriage, married 17 years; occupation: mechanic; rented home. Record, Alice, wife, age 33 [unclear], born in Missouri; father born in Alabama; mother born in Arkansas; first marriage, married 17 years; 8 children, 2 living. Record, Nina, daughter, age 10, born in Arkansas; father born in Illinois; mother born in Missouri. Record, Willie, son [sic], age 4, born in Arkansas; father born in Illinois; mother born in Missouri. Reckard, William H, head-of-household, age 47, born in Illinois; parents born in United States; owned home (free); occupation: machinist, railroad round house. Reckard, Alice, wife, age 41 [unclear], born in Arkansas; parents born in Arkansas. Reckard, Nina, daughter, age 20, born in Arkansas; parents born in Arkansas. 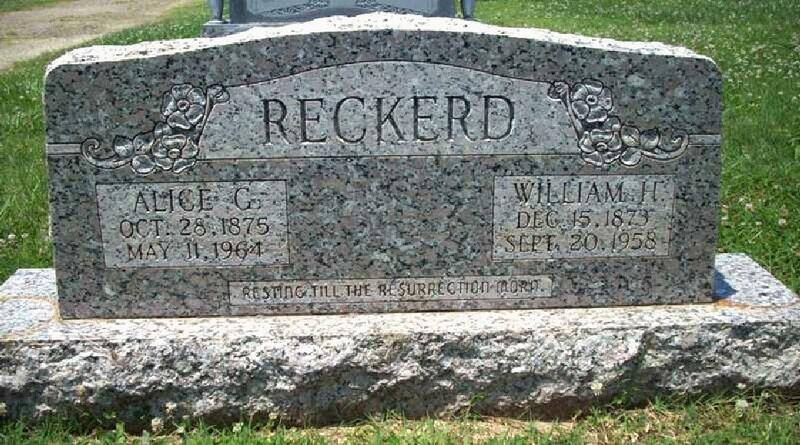 Reckard, Willie, daughter, age 14 [unclear], born in Arkansas; parents born in Arkansas; attended school. Reckard, Raymond, son, age 9, born in Arkansas; parents born in Arkansas; attended school. 1880 census, Black River Township, Lawrence County, Arkansas; roll T9-0049, ED 159, page 469B, line #18, dwelling #113, family #127. 1910 census, Paragould, Greene County, Arkansas; roll T624-51, ED 57, page 8A, line #42, dwelling #153, family #154. 1920 census, Paragould, Greene County, Arkansas; roll T625-65, ED 94, page 8B, line #86, dwelling #168, family #175.